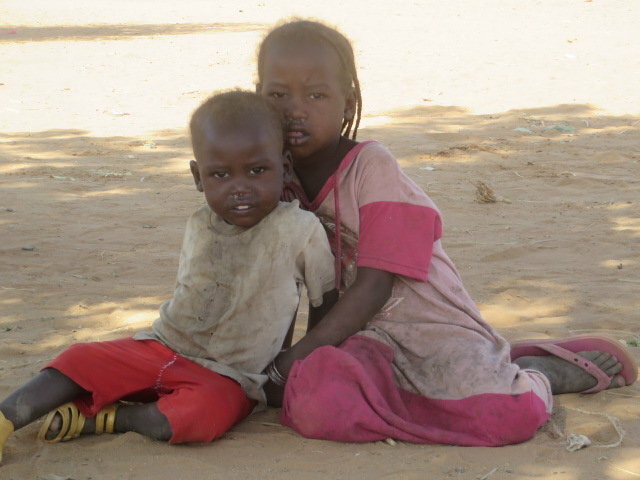 Families living in remote villages in Darfur, Sudan, faced famine last year because of extreme drought. With no harvest there was nothing to eat. Kids for Kids is not an emergency organisation, but we had to provide emergency aid when no one else responded. It was not just people who suffered, even animals died. Now we must help families to recover. Our sustainable grassroots projects, all identified by the communities as the best way to help, will enable families to rebuild their lives. 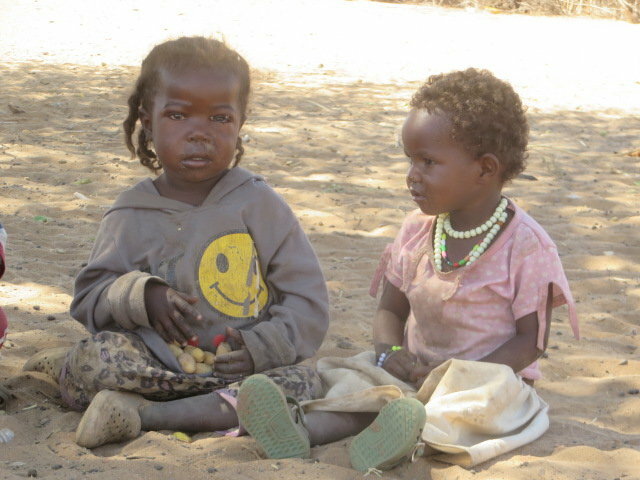 Lack of rainfall caused the harvest to fail, and in 2018 families were left with 10% of what should have been enough food to last them until the rains. We provided emergency aid, but now families need help to rebuild their lives. Soaring inflation and the drastic devaluation of the Sudanese pound means people have no money to buy anything - even a mosquito net is too expensive. 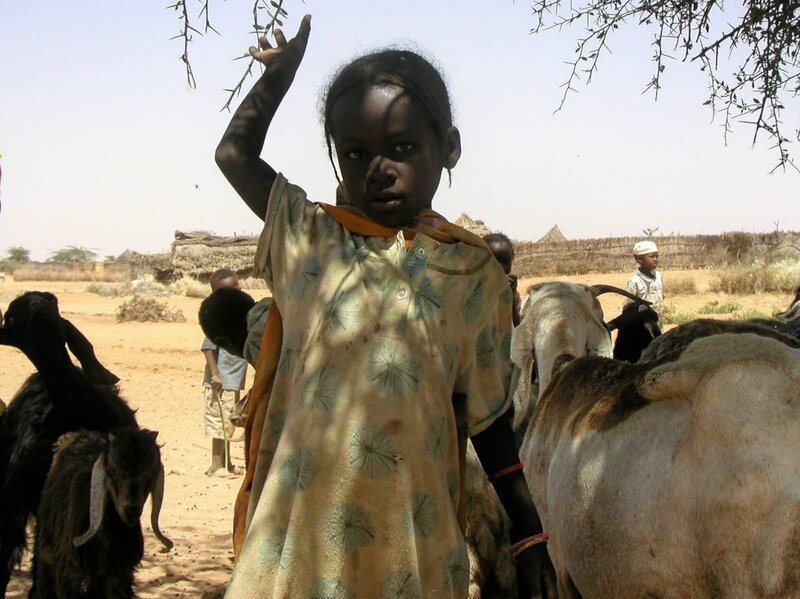 Malaria is the biggest killer in the villages of Darfur and without nets children are at risk. Our sustainable projects and provision of basic essentials such as goats, donkeys, blankets, mosquito nets and farm tools give families a chance not just to survive but to improve their lives long-term. Our mosquito nets have cut the incidence of malaria by two thirds. A goat gives milk to malnourished children. Chickens give eggs for the elderly and blankets protect children from the cold desert nights. Farm tools and donkey ploughs mean a family can plant more essential food, even vegetables. Our sustainable projects are transforming lives every day in 92 villages and the key project is Goat Loans. A goat transforms the life of the whole family. Goat's milk is invaluable as the only source of protein for children and, once the little flock has grown, excess milk and yogurt provide a livelihood for mothers who have no other money. An income means her children can go to school. After 2 years the youngest goats are passed along to benefit another family in the village. will help provide training in the care of goats so that all goats survive and thrive! will provide 6 goats for a family. The milk will save children's lives now and in the future the family can earn an income by selling surplus milk. You can save lives and change lives! provides an Urgent Need Package to save another family from starvation: 90 kilos of flour, supplementary food for animals, and a goat that will provide life saving nutrition to the children.